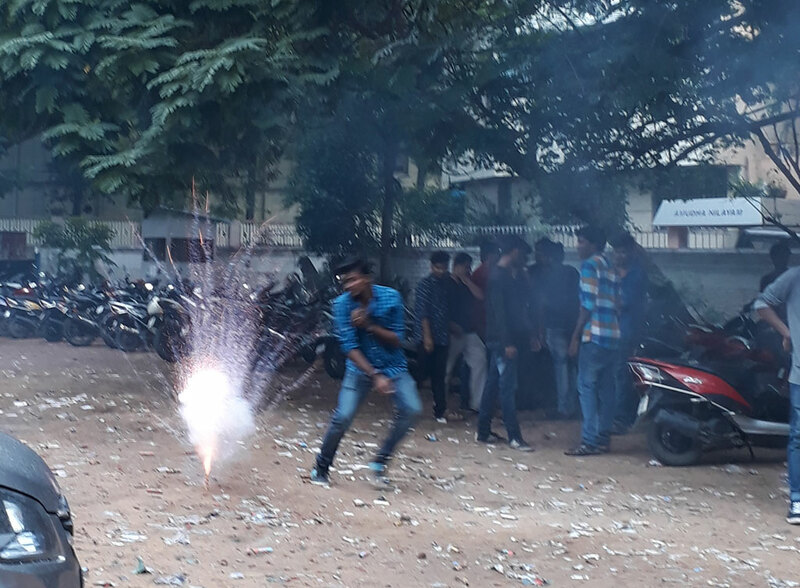 Icat college students are celebrating Diwali festival at campus. 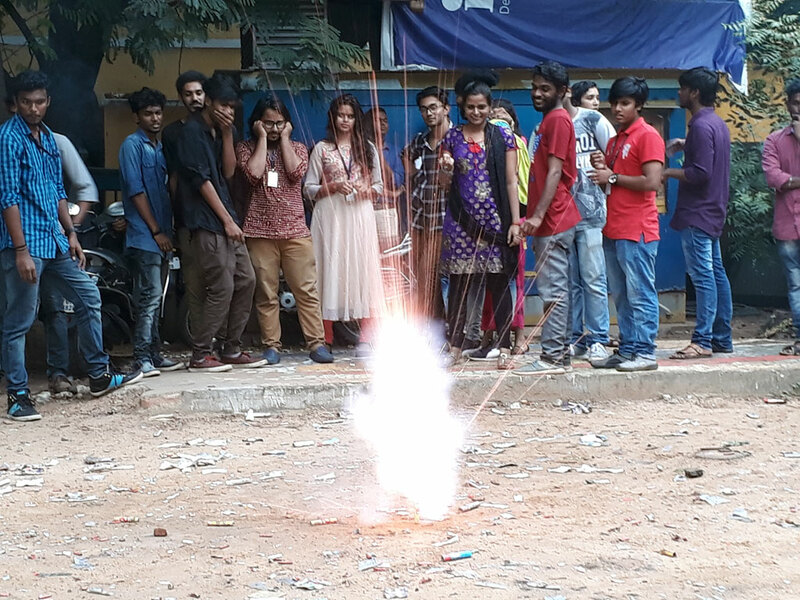 Teachers and students are enjoying fire crackers, playing with the crackers in college. 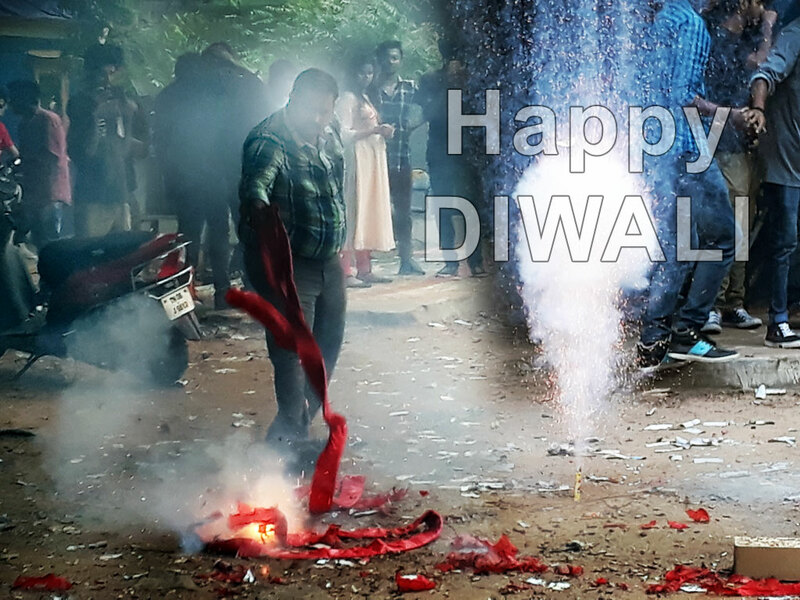 Take a look at the celebration with new and old students, faculties and other staff.